Inside Out was one of the cutest movies I've seen in awhile. 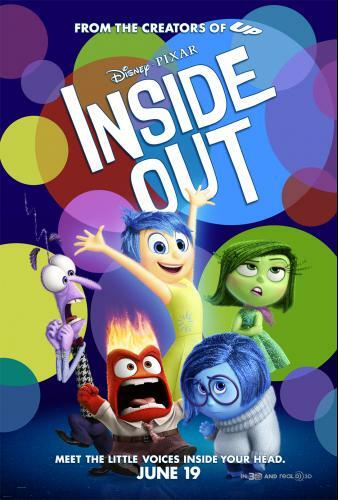 Whoever came up with the idea of us getting to see individual emotions (joy, sadness, anger, fear, disgust) as characters in the headquarters of our brain was creative and I'm glad! Inside Out is a really funny movie that keeps you entertained from beginning to end. The writers did a good job writing witty dialogue. There was a lot of hype leading into the movie and I was hoping I wouldn't be disappointed and I wasn't! It's a great movie to take the whole family to. I'm 21 and I enjoyed it. It's good for kids to see how different emotions affect us and our behavior. My favorite emotions in the movie are anger and joy.